Home / BLOG / So What’s A Pod Mod? When I started writing about Heat not Burn I didn’t think it was going to be controversial. Well, I was wrong. The thing is, I’m a vaping advocate and my name isn’t exactly unknown in the e-cigarette debate. 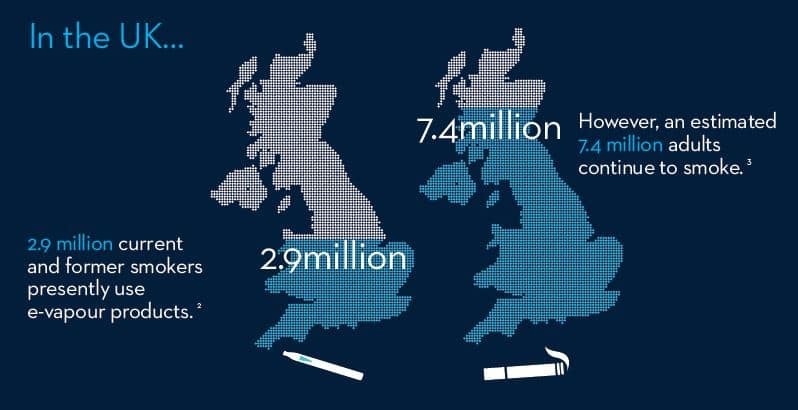 As far as I was concerned, HnB was all part of the same concept – a safer alternative to cigarettes that has the potential to save the lives of smokers. Unfortunately, it seems not all vapers agree. Over the last couple of months there’s been an astonishing string of attacks on HnB by some people who, even if they’re just YouTube reviewers, really should know better. The actual arguments these people use are silly, with a bit of ignorance sprinkled on top – did you know a Heet was just a cigarette that’s been dipped in PG? I sure didn’t, and I’ve watched them being made. There’s also a lot of conspiracy theory rubbish about how PMI are trying to take over vape shops by asking them if they want to sell iQOS. 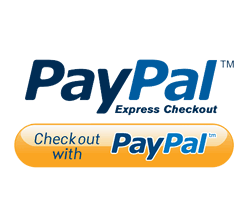 PMI have enough money that, if they wanted to take over vape shops, there’s a much simpler way to do it – just buy them. Anyway, after a few conversations, I’ve worked out that what really annoys them is they think HnB is the “wrong” way to use nicotine. Part of that is that it that they use tobacco. It’s amazing how completely some vapers have swallowed the line that tobacco itself is bad, when in fact it’s just the smoke you should avoid. The involvement of the tobacco companies seems to cause a lot of tears, too; some vapers sound scarily like Deborah Arnott of ASH when they get onto the subject of PMI, BAT and all the other companies whose products they were happy enough to buy for decades. Lastly, some of them just seem to be vape snobs. If you’re not getting your nicotine from a boutique liquid, vaporised by hand-built coils powered by the latest high-end mod, you’re no better than a filthy smoker. Well, I don’t care about any of this. I’m fine with tobacco, I’m too adult to blame the tobacco industry for all the cigarettes I freely chose to buy from them, and I’m not a snob. If someone couldn’t care less about fancy mods and liquids, and just wants a nice simple device they can pick up at Tesco’s tobacco counter, I’m fine with that. And this brings us, finally, to pod mods. 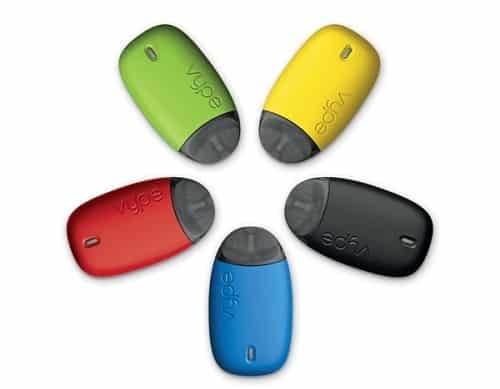 The first thing I should say about pod mods (also known as pod vapes) is that they’re not really mods; the name seems to have stuck to them because it’s sort of snappy and it rhymes. What they really are is the latest incarnation of the old-style cigalikes a lot of us started vaping with. The difference is that while cigalikes were awful, pod mods are actually rather good. 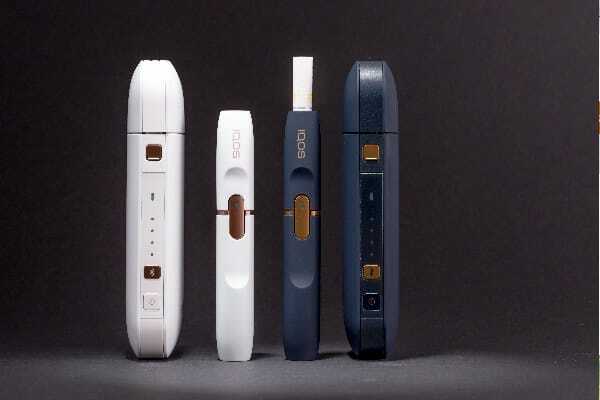 Abandoning the cigarette shape lets them pack in a lot more battery capacity while staying slim and compact enough to be held like a cigarette. So that’s the advantages of a pod mod over cigalikes; how do they compare to the typical devices used by experienced vapers like myself? Well, this is where things get subjective. I like my big, heavy, leaky devices. I spend most of the day at my desk writing articles and blog posts for you, so the fact my mod is stuffed with multiple 18650 batteries and is about the size of a half brick doesn’t bother me at all. All my tanks are a bit dribbly, and my favourite RDTAs tend to dump their entire contents if you tip them too far, but when they’re sitting on my desk that isn’t a problem. 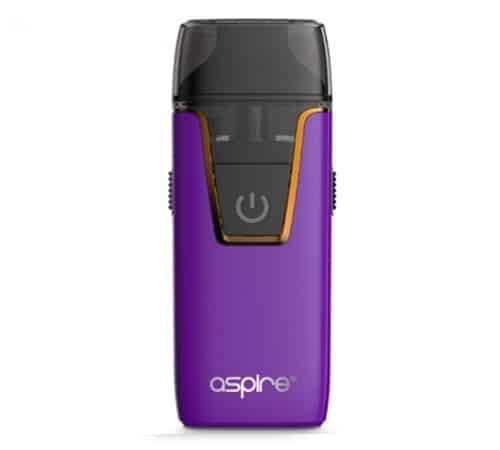 Aspire are a massive name in vaping circles and have been producing top quality products for many years. 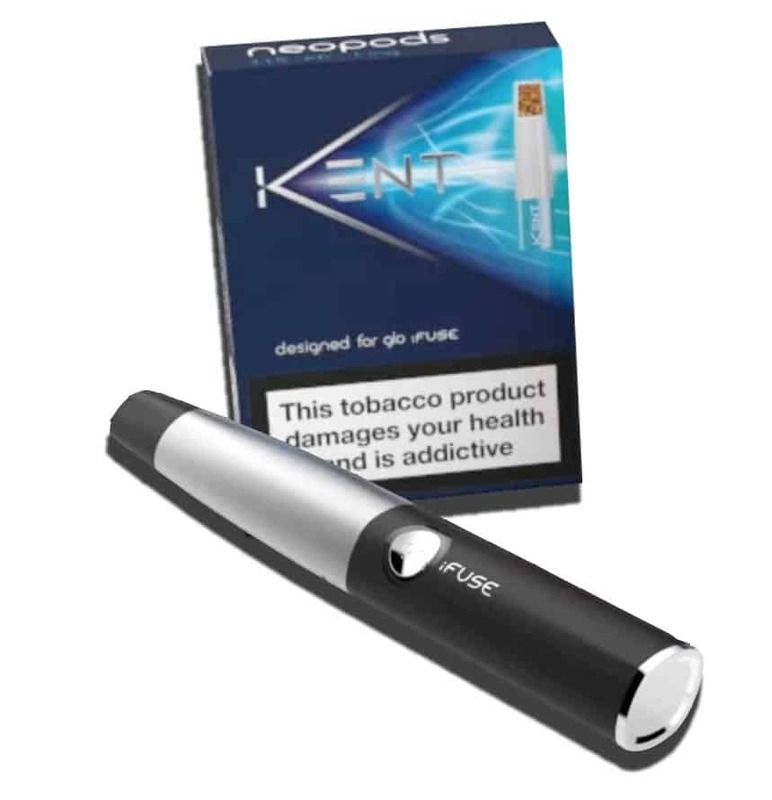 In their first foray into the world of Pod Mods they have introduced the excellent Aspire nautilus AIO (All In One) Kit. 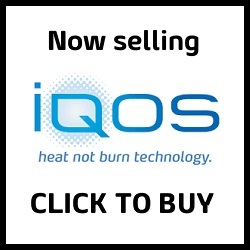 We recently did a thorough review of this product and we are also selling it right here on Heat Not Burn UK too because it is a superbly simple and effective device. 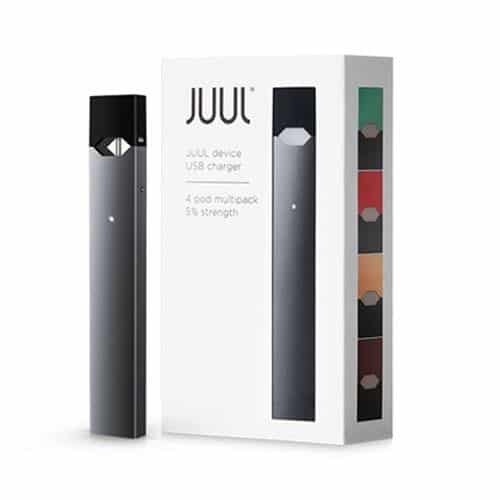 The pod mod everybody’s talking about right now (although mostly for the wrong reasons) is the JUUL. This ultra-slim device was only available in the USA and Israel, but it’s now available in the UK and the company, in between arguing with idiots who’re imagining an epidemic of teenage “JUULing”, is planning to roll it out around the rest of the world over the next couple of years. JUUL is a tiny rectangular device with a USB port at one end, so it can be plugged directly into a laptop to charge. It’s fed on tiny leakproof pods that hold 0.7ml of liquid; the liquid itself is a bit special, and part of the reason for JUUL’s amazing success – it currently makes up 70% of e-cig sales in US convenience stores. Instead of the usual freebase nicotine it contains nicotine salts, which deliver a faster, cigarette-like hit, and it’s also very strong at 5% nicotine (although this has to be cut to 2% for the European market, thanks to the ridiculous EU TPD). 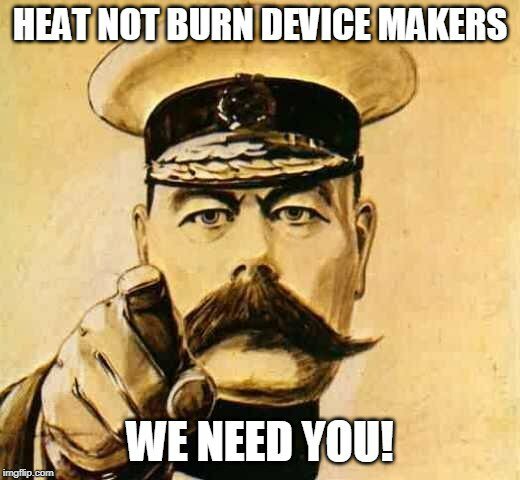 Heat Not Burn UK being all about harm reduction has a sister website that may well start selling the JUUL here in the UK in the very near future, so watch this space! 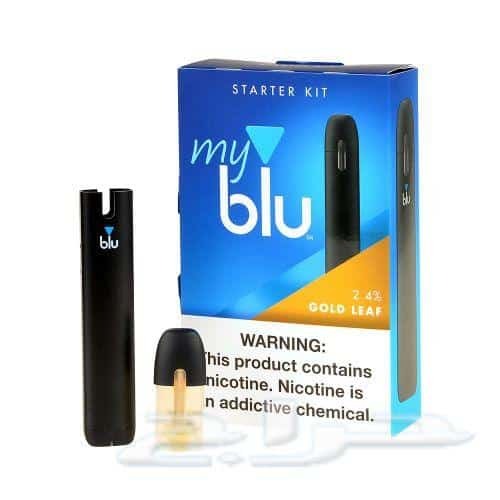 Previously sold as the Von Erl until Fontem Ventures (part of Imperial Tobacco) bought the brand, MyBlu is about the same size as JUUL but has a more rounded shape. 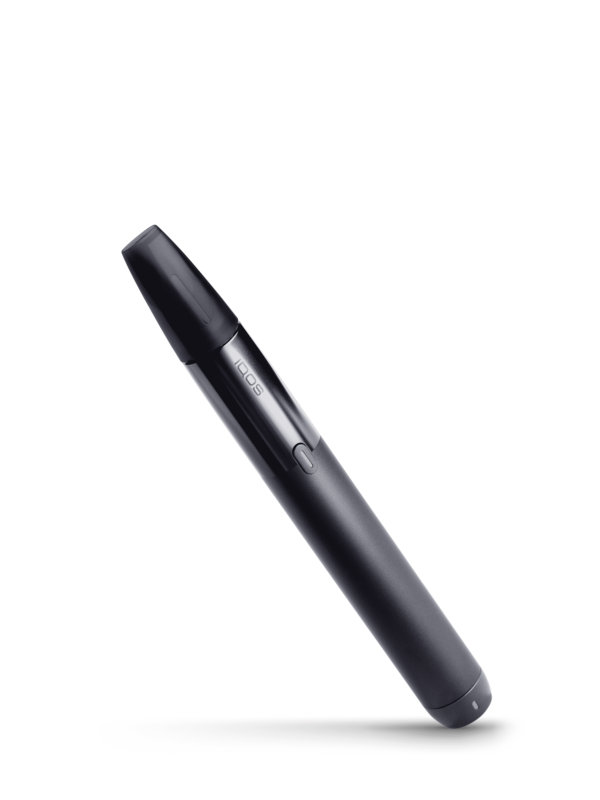 It’s also generally more conventional – it uses standard e-liquid at 1.6% concentration. PMI’s Mesh is much larger than the JUUL or MyBlu (so it also has better battery life), but it’s exactly the same concept – you just plug disposable pods onto the end of the battery. I have one of these and it’s very good. It also produces more vapour than the other pod mods, so it might be a better option for anyone who’s used to conventional e-cigs. We have also done a full review of this device. 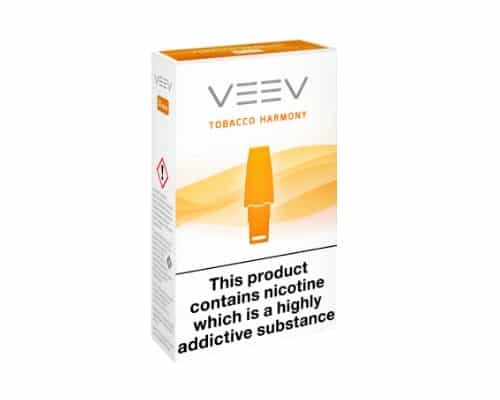 Heat Not Burn UK are now selling the Mesh pod mod along with VEEV flavour caps right here on this website! About the same size as the Mesh, BAT’s iFuse is a sort of hybrid – its pods contain a layer of finely shredded tobacco which is supposed to give the vapour a tobacco flavour as it passes through. It’s a great idea, but we’re not sure how well this pod mod actually works. BAT’s Pebble is the most unconventional-looking of the pod mods. It’s shaped like the sort of flat stone you’d skip across a pond, and while it looks odd it’s also very comfortable to hold. There’s a nice big battery in there too. So there are already a few pod mods to choose from, but the runaway success of JUUL means we can probably expect to see a lot more options appearing soon, as manufacturers jump on the bandwagon. Overall that’s great news, because pod mods are exactly what a lot of smokers are looking for – a reduced harm option that’s smaller and simpler than a conventional e-cig. 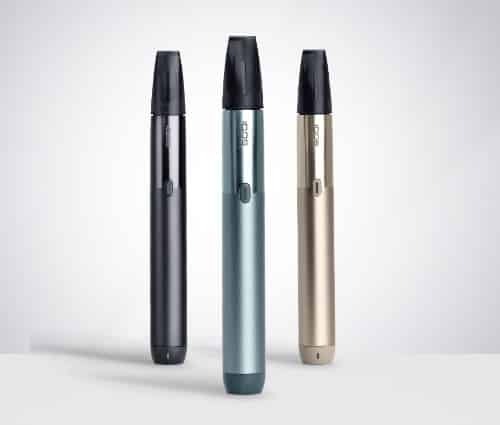 EDIT: Just as we predicted more options are indeed entering the market, including the Vype ePen 3 from British American Tobacco. 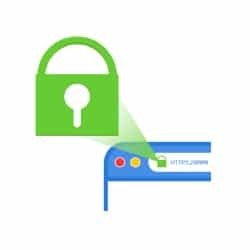 In November 2018 we did a full review of the device. My local vape shop has started stocking the Juul. 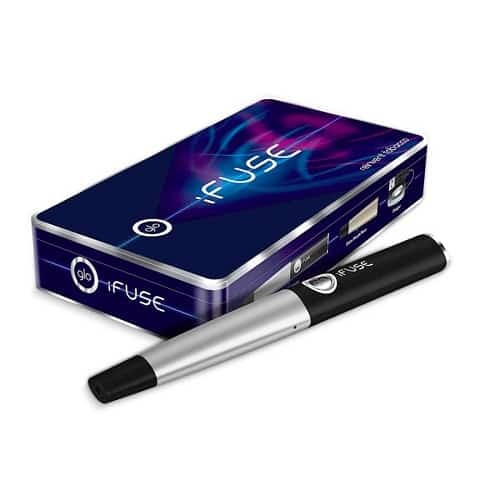 The trouble is, the device only functions as intended (providing the cigarette-like hit which has made it a phenomenal success in the US) by running on a 40mg nic salt liquid. The EU, of course, has banned all Eliquids with a nicotine content of more than 20mg – making the Juul pretty useless as anything beyond a conventional low-powered vaper. It is possible to get a 20mg nic salt to deliver an effect similar to 40mg… but you’ll need a device far more powerful than the Juul in order to do it. I heard the Juul has been withheld from European markets for such a long time precisely because its owners refused to sell it unless customers got the full experience it was designed to deliver. 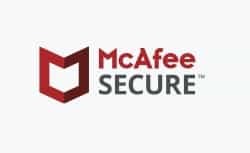 With its recent launch in the UK, it seems the company has given up that fight and decided to cash-in on a substandard offering. The blame for this lies 100% with the EU and the TPD, the damage of that poorly thought out regulation will actually cost lives. 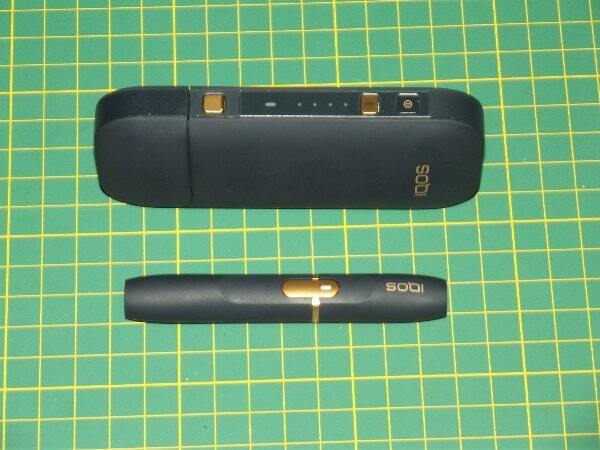 Of course JUUL would like to release it with the exact same spec as they have done in the USA but what can they do? Can’t blame them for trying though as it will still work for many people.